What Is a Stack Switch? Ethernet Switches: to Stack or Not to Stack? Over past years, stacking has escalated from a premium feature to a core constituent of an Ethernet switch. Stack switch has become more and more popular among users. When it comes to network design, you may often face two challenges: maximizing scalability and optimizing performance. Finding the right balance can be tricky. This is why you’ve considered stacking or not stacking when managing your Ethernet switches. What Is Switch Stacking or Stack Switch? Stack switch is a type of switch designed to be stacked on top of one another. Stackable Ethernet switch is now well established as a stable, standards-based connectivity technology to efficiently handle and manage bandwidth-hungry applications. Stacking allows you to manage multiple switches as a single entity and provides increased bandwidth between the switches. Stack switches can be placed in networking closets and stand alone as a whole unit. The feature sets of stack switch vary depending on vendor and platform. Most stack switches support advanced functions like QoS, multicasting, and VLAN management. For instance, the following FS S3800-24T4S stack switch gigabit is a 24-Port 10/100/1000BASE-T Gigabit switch with QoS flow control and IP subnet-based VLAN. It supports up to 4 switches stacking and up to 96 Gigabit ports and 8 10G SFP+ ports per physical stack, providing up to 512Gbps total switching capacity for the network. Whether an enterprise outfits its wiring closets with stack switch or not will depend on what services are needed and how much redundancy is required at the network edge. Stacking multiple switches allows for efficiency and ease of management when you do it right. The switch capacity of a stack is the total port density of the combined switches that are stacked together. For example, when you stack four 24-port switches, you will get one large 96-port switch when it comes to configuration. All these switches in the stack share a single IP address for remote administration instead of each stack unit having its own IP address. In a small business where access to data and resources are critical, it is a wise option to choose stackable switches because they can significantly reduce downtime and make your network more resilient. In mission critical networks, if a switch within the stack went down, another switch would take over, ensuring that your network remains up and running uninterruptedly. In this way, stackable switches provide additional protection and redundancy for your network. Moreover, you can replace the breakdown switch in the stack without having your network offline for extended periods and impacting employee productivity in the process. Generally, there are mainly two ways to stack multiple network switches into a group. For stack switch with dedicated stacking ports, a stack cable is used to realize switch stacking among them. But only approved cable can be used as stack cable, or else it would cause damage to the switches. The other approach is to use the uplink ports on the switch to connect each switch together in the stacking system. Most stack switches on the market today can be stacked using several types of Ethernet ports including 10GBASE-T copper port, 10G SFP+ fiber port and 40G QSFP+ port as an uplink. For example, FS S3800-24F4S gigabit ethernet switch uses 4 10G SFP+ ports as uplink ports to stack between switches. 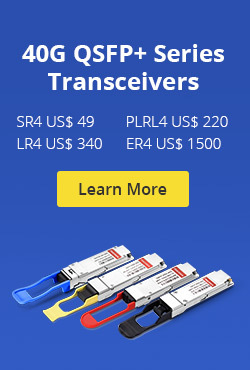 Up to four of the same type of models can be stacked together via SFP+ transceivers (with fiber patch cable) or DAC cables. Here’s the video to show you how to stack FS S3800 series switches step by step. Note: Please be careful about Ethernet switches in the market which are sold as “stackable” when they merely offer a single user interface, or central management interface, for getting to each individual switch unit. This approach is not stackable, but really “clustering”. You still have to configure every feature such as ACLs, QoS, Port mirroring, etc, individually on each switch. As your business grows, is your network prepared to grow accordingly? Stack switches have become extremely popular for good reasons. 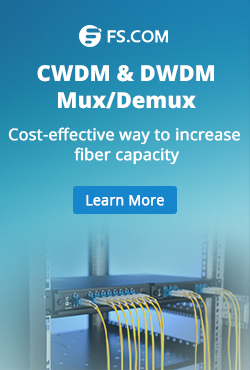 They can simplify management and enhance switching capacity for easy network expansion. But for most customers, achieving super high availability may not be the goal. Then standalone switches are already enough for you rather than stack switches. 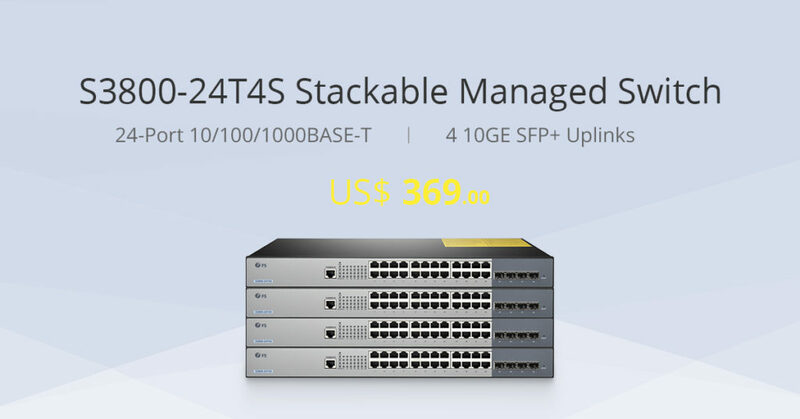 Thus the pay-as-you-grow stack switch model is suitable for those who need flexibility, not only in their physical network, but also in the amount of traffic that is going through it. This entry was posted in Fiber Optic Switch and tagged 24 port switch, Ethernet switches, Gigabit Ethernet switch, Gigabit Switch, stack switch on May 22, 2018 by Kelly.Zeng.